Several of our customers came in to frame paintings by an artist named Gigi Scully, after the third time we thought, "We've got to meet this artist". Turns out Gigi knows a lot of people. She lives and works in her home studio in Pasadena and has many friends and collectors in the area. 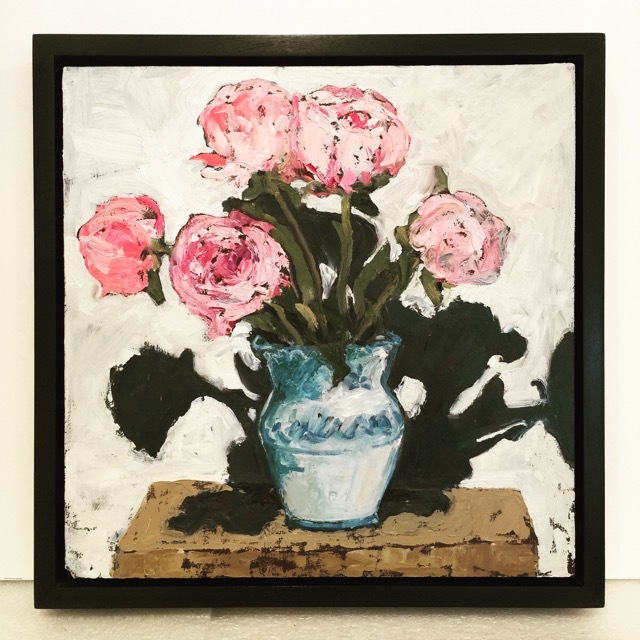 She works primarily in oils but also enjoys watercolor acrylic and charcoal. finding inspiration at home and in her travels. While her work was on display her sister came to visit. 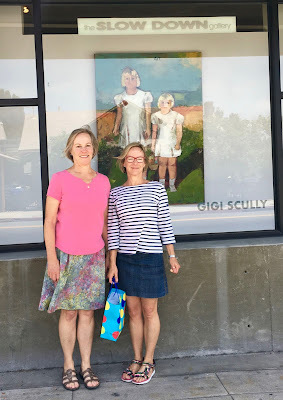 There mother took this picture of the sisters in front of "Sisters"
She is currently painting for a show in November 2018 at MorYork Gallery in Highland Park. Check out her website to see more of her work and join her mailing list.